Look how intently he is listening! This must be interesting, and slightly amusing! Jacob just loves causing trouble. Whether its finding ways to make half the student population angry or all of the administration – Jacob certainly doesn’t slack. Just look at those devil horns! Jacob is amazing. He’s a final semester student at Hampshire College, engaged in a year-long thesis project (in school slang, a “Division III”). The project: Running a writing club for students at a nearby middle school, and writing a guidebook instructing others how to start similar projects in their own communities. 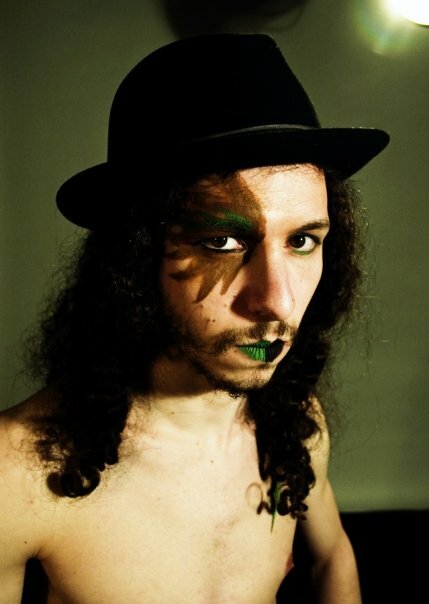 Jacob is an aspiring acrobat and writer of fiction and creative non-fiction. He is a sometimes blacksmith and artist. He can sculpt a mean octopus. He also finds it important to refer to himself in third person during his bio. Jacob was nearly born at Boskone in 1986—only to be born a few weeks later, interrupting his father’s gaming night. His bedroom growing up was his parents’ science fiction and fantasy library. He has been to a science fiction convention every year of his life, including Boskone (1986–2000?, 2005), every Arisia except the first one, several Balticons, at least one Lunacon, one Vericon, one Darkover, one I-CON (2007), and four Worldcons—including Noreascon 3 (Boston, 1989), Bucconeer (Baltimore, 1998), Millennium Philcon (Philadelphia, 2001), and LA Con IV (Los Angeles, 2006). When he was ten years old, he decided of his own volition to join techno-fandom, and has volunteered in some capacity at nearly every convention he’s attended since then. Most recently, he ran the coat check with two dozen other Hampshire students at Arisia 2008. He has designed two volunteer shirts for Arisia, 2003 and 2006. 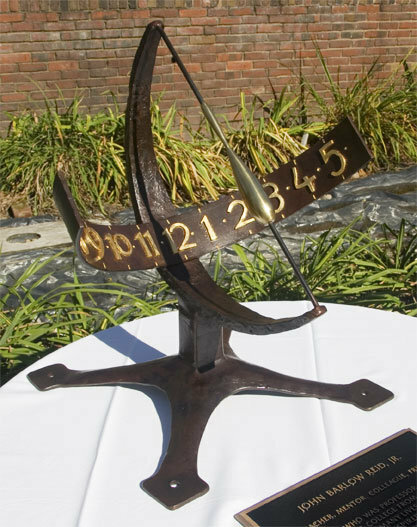 John Reid Memorial Sundial (2007) — I built this sundial during the summer of 2007. Currently, I am working on my thesis, and I owe some people private commissions, but I hope to be able to offer sculptural blacksmithing to the public or convention art shows in the future. The sundial is approximately 17″ at the base and 2 1/2′ tall. I believe it’s accurate to within five minutes. Eco-Punk Clown Facepaint — This is conceptual facepaint for the Criss Cross Circus trip I may be part of during summer 2008. Random Drawings — Sometimes I like to go to the computer lab at school and use their spiffy tablets to mess around. Also, I make the weirdest drawings in my notebooks. I’m not much of an illustrator, but I do like to doodle, so I’ll share some of the weird stuff that comes out of my head, unfiltered, onto the page. The Frame of the Earth (2007) — My first real piece of creative non-fiction, for the class Literary Journalism with Michael Lesy. It’s sort of about blacksmithing and learning, and it has some really nice photos I took. Though I’d probably do it differently now, I’m proud of it.